Expedition 55 Flight Engineers Drew Feustel and Ricky Arnold are set to conduct a 6.5 hour spacewalk on Thursday, tasked with the installation of wireless communications equipment, swap out high-definition video cameras on the port truss of the station’s backbone and remove aging hoses from a cooling component on the station’s truss. EVA-49 was set to begin at 8:10 AM Eastern. However, this has been delayed by over an hour due to a failed leak check on Feustel suit. 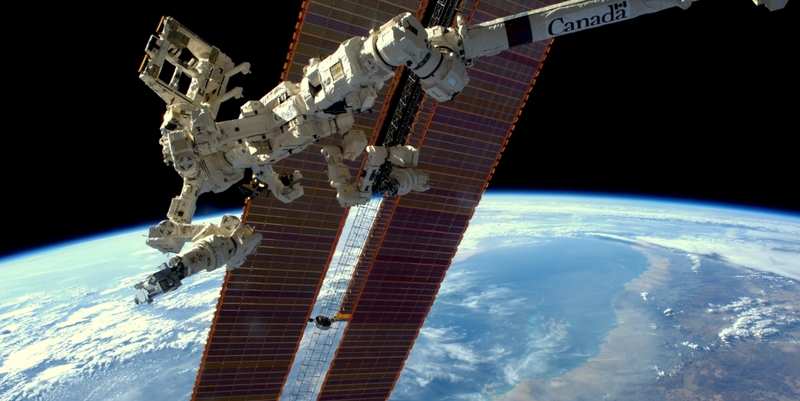 The spacewalk is involving two American astronauts who are ISS EVA veterans. The excursion will be the seventh in Feustel’s career and the third for Arnold. Arnold will be wearing EMU 3003, while Feustel will be donning EMU 3006. It was Feustel’s suit that proved to be a problem during the morning preparations, failing a leak check. However, after some troubleshoot, the suit finally passed the test and the teams were allowed to continue to press towards the spacewalk. The EVA is expected to begin around 90 minutes later than planned. The first order of business for spacewalkers EV-1 Drew Feustel and EV-2 Ricky Arnold will be to install an External Wireless Communication (EWC) antenna on the Node 3 module. This will involve installing two handrails (with antennas attached) onto the Node 3 end cone, and then connecting power and data cables to the antennas. The EWCs are needed in order to provide high-bandwidth wireless connectivity to the ECOsystem Spaceborne Thermal Radiometer Experiment on Space Station (ECOSTRESS) hyperspectral infrared imaging experiment, which is being launched to the ISS later this year, for installation onto the Japanese Exposed Facility (JEF). The next task for the two spacewalkers will be to remove two ammonia jumpers from a Radiator Beam Valve Module (RBVM) on the P1 Truss. An RBVM is used to isolate and provide emergency venting of the radiator ammonia supply and return lines, and monitor temperatures and pressures in those lines. There are six RBVMs per each set of three radiators on the P1 and S1 Trusses. ISS teams have been tracking a small ammonia leak within loop B of the station’s external cooling system for a while, and least year’s operations with the Robotic External Leak Locator (RELL) identified the P1 Truss radiator area, specifically the radiator 3 RBVM, as being the most likely source of this leak. As such, two ammonia jumpers on the P1-3-2 RBVM, which have already been isolated and vented, will be removed and brought back to earth for inspection in order to hopefully pinpoint the exact location of the leak. This task will involve the demating of heater cables, and the infamous Quick Disconnect (QD) connectors, which in the past have proven to be more than troublesome to previous spacewalkers. 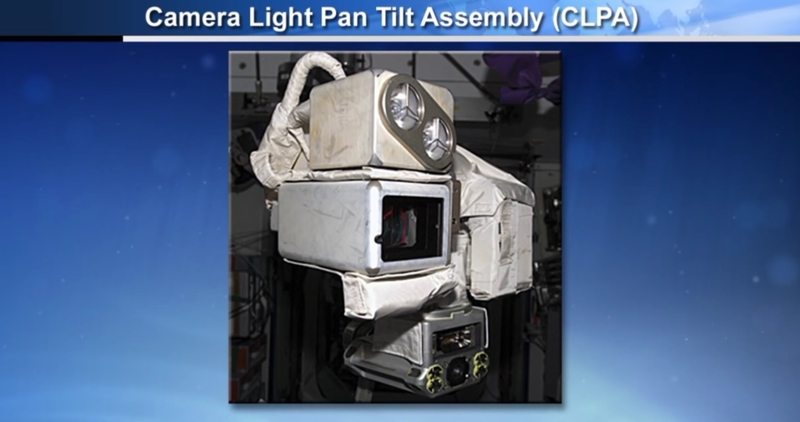 The third and final task of the EVA will be to replace the Camera/Light Pan/tilt Assembly (CLPA) on Camera Port-8 (CP-8), which has recently experienced a failure of its tilt mechanism. This CLPA was recently upgraded with an HD camera, which will be removed from the old CLPA and re-installed onto the new CLPA. The spacewalkers will then head back to the airlock to conclude the EVA. Two more EVAs are already in the pipeline for May, namely EVA-50 and EVA-51. 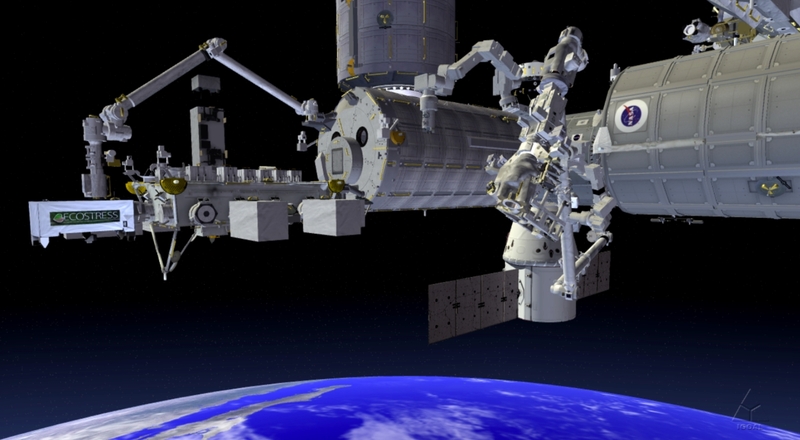 EVA-50 will involve the relocation of a pair of Pump Flow Control Subassemblies (PFCS) between external stowage platforms for inspection and data retrieval. EVA-51 calls for the installation of a pair of EHDC’s, further aiding the ability to provide HD video of Visiting Vehicles at the Node 2 Forward and Zenith ports. Should time allow during EVA-49, get-ahead options will likely be focused on preparations for the May spacewalk tasks.